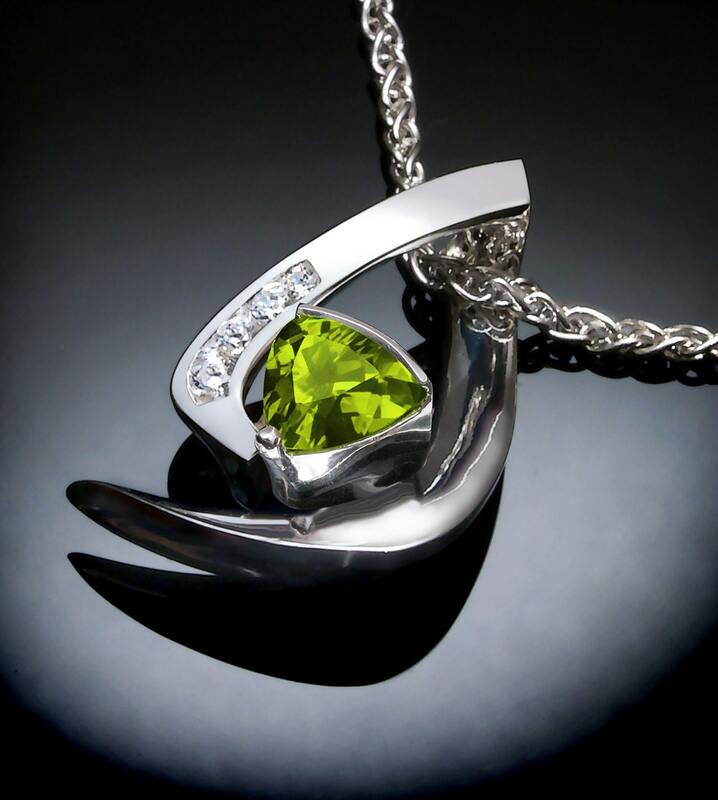 Peridot and White Sapphire Necklace - Argentium Silver - 3369 - Chain Included. 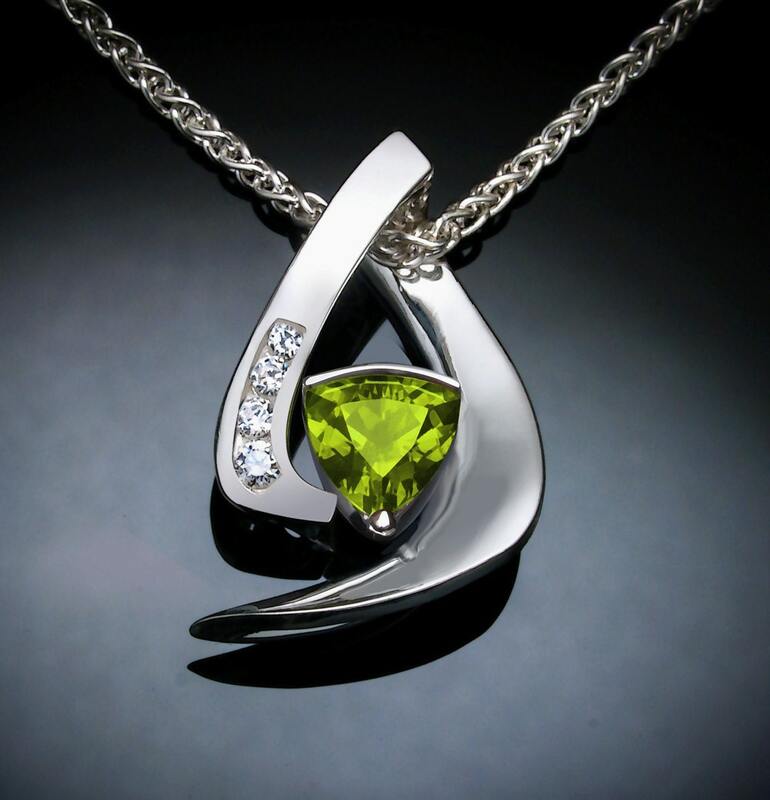 Cast in a high purity Argentium 960, 100% recycled silver, this pendant measures 25mm x 16mm (1" x 5/8") and is set with a beautiful 7mm trillion cut Peridot and four approx. 2mm White Sapphires. This pendant was originally produced in gold as a versatile design to frame the main stone in a shape that not only circles it, but has enough depth to form a generous incorporated bail. To accommodate accenting side stones, two segments that pass at angles to each other are bridged with a hidden connection, allowing the stones to show themselves off, while also emphasizing the silver shapes that hold them. 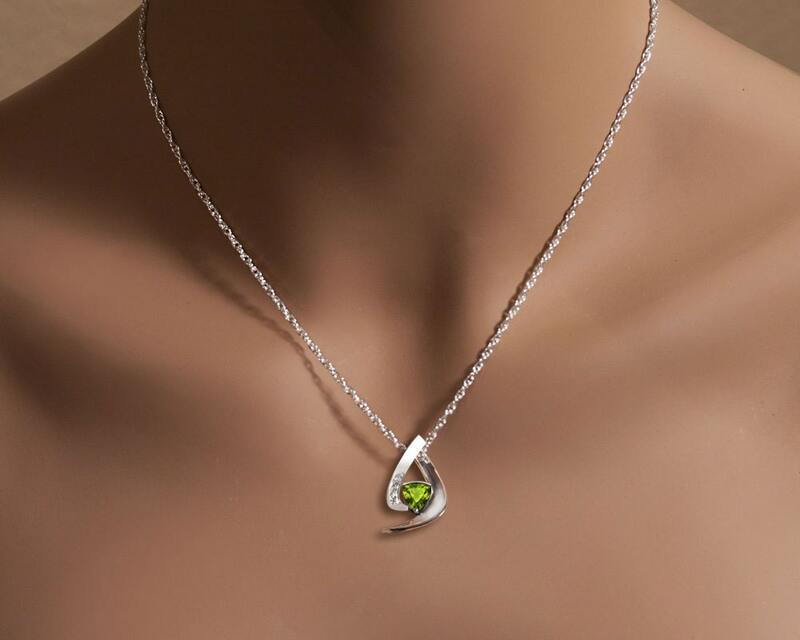 I purchased this pendant as a gift for my wife. It was shipped and packaged nicely, and on time as well. 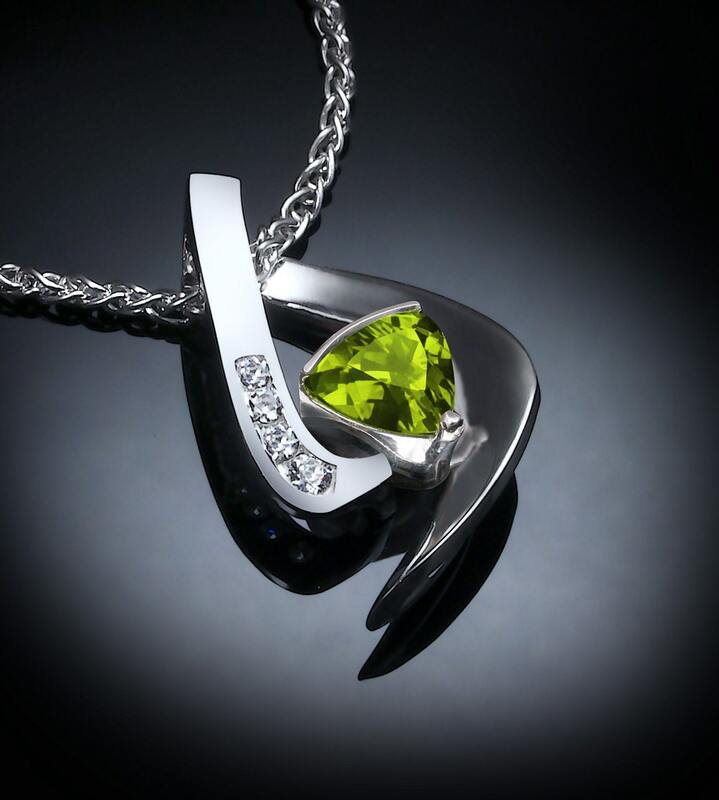 The craftsmanship is beautiful, and the peridot was a good quality stone. 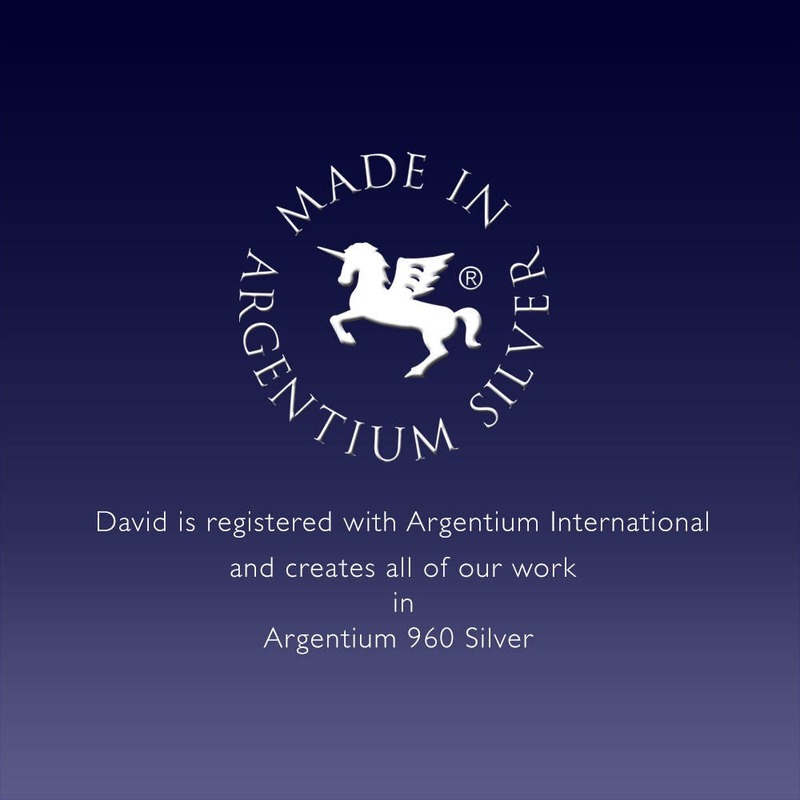 The silver was polished and crafted very well with no flaws, while under magnification. My wife was overjoyed to get exactly what she asked for. I can see a future purchase from this artist. Beautiful piece. I didn't measure the size before I purchased it, but it is substantial and quite sparkly! I bought it as a gift, and I can't wait to give it to the recipient! 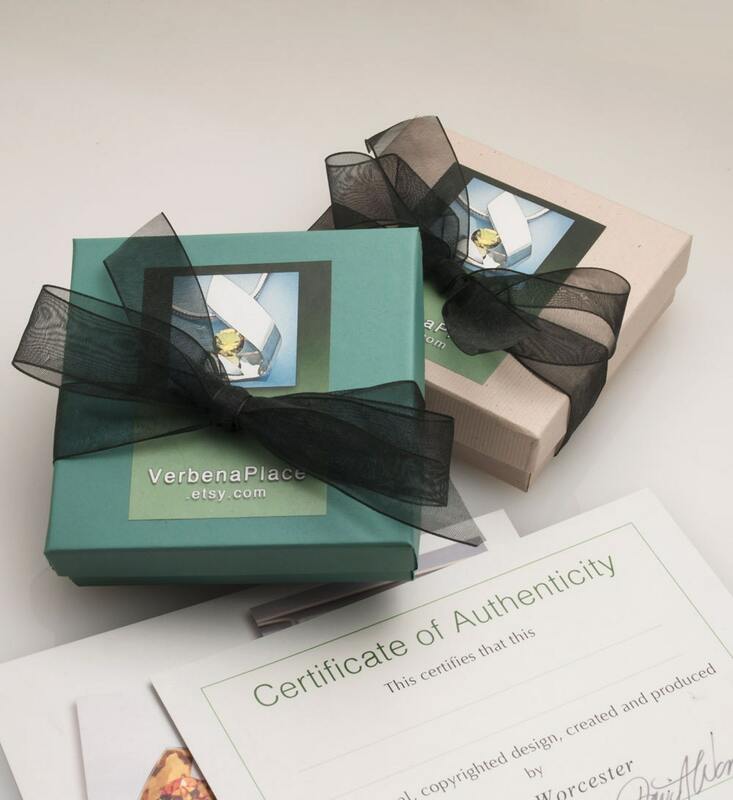 Delivery was extremely fast, and it came in a nice gift box, along with documentation about the piece.